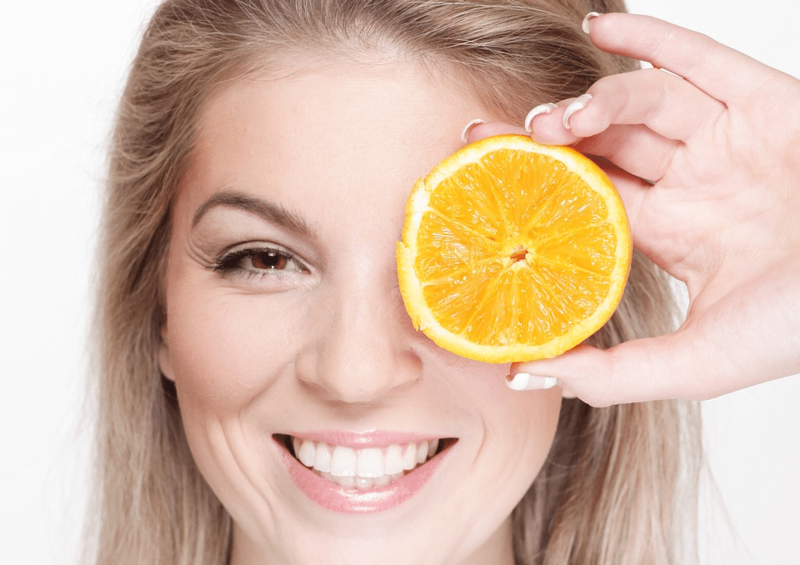 Benefits of Vitamin C for Your Skin | Syringa Inc.
We usually think of Vitamin C as our best friend and companion when those nasty colds take a toll on the immune system. It’s an incredible remedy that aids the body in fighting germs when sickness runs rampant during the winter months, but a healthy boost isn’t the only benefit of Vitamin C. It’s also AMAZING for your skin. Here are some reasons why Vitamin C should be incorporated into your daily skincare routine. The antioxidants present in Vitamin C can help with the aging process of your skin. This crucial vitamin can help protect your skin from pollutants, even out your skin tone and giving your skin the hydration it needs. Vitamin C helps support healthy collagen as well. Collagen works with elastin in the body to promote healthy looking skin. Collagen provides firmness, and strength to the skin, while elastin gives skin the flexibility it needs. This is especially important when major hormone changes, such as menopause, has left your skin dry and with less elastin. Ascorbic acid, one vital property of Vitamin C, has the most skin-related research of any type of Vitamin C. Ascorbic acid helps create younger-looking, firmer-feeling skin and can help dissolve any spots and uneven skin tones. Only a little Vitamin C reaches the skin when ingested orally, but topical use can help rejuvenate aged and photo damaged skin. The body can easily absorb Vitamin C properties when applied to the outer skin. 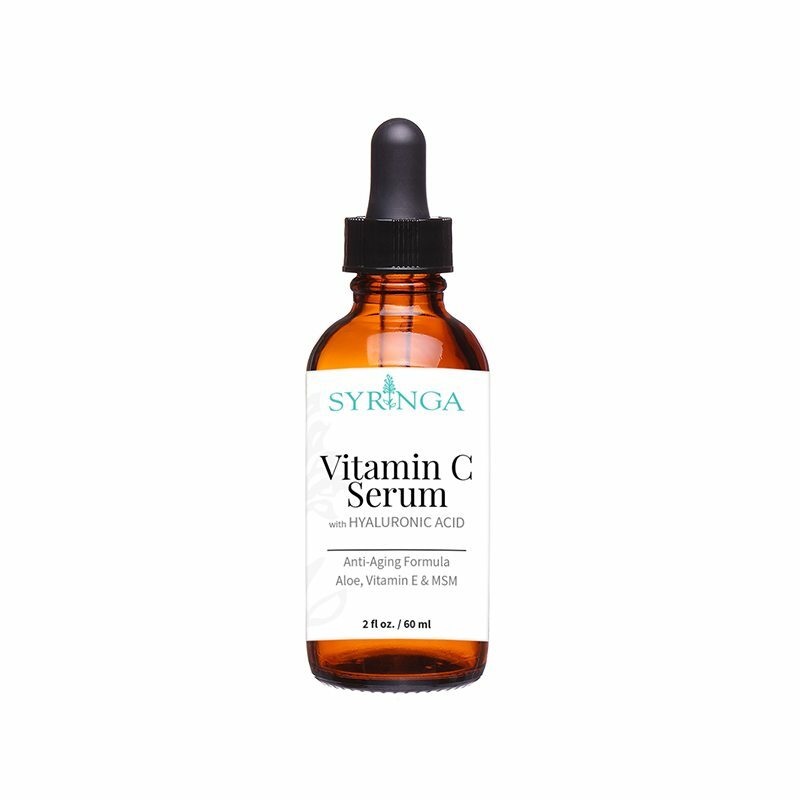 Syringa’s Vitamin C Serum is blended to reduce the appearance of wrinkles and fine lines. Our formula helps boost collagen and improve skin firming. Get Firm & Radiant Skin Now! Don’t miss out on our Vitamin C Serum! We are currently running a summer special on this product, and you can purchase it for only $30.